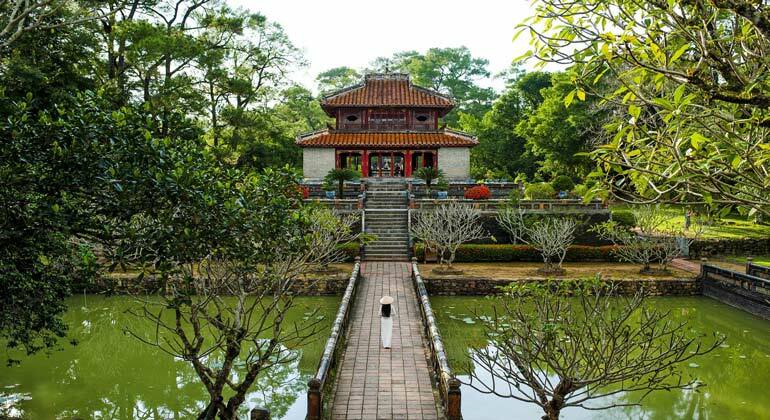 Hue is the former imperial capital of Vietnam constructed by Nguyen Dynasty during their 143 year reign, from 1802 to 1945. 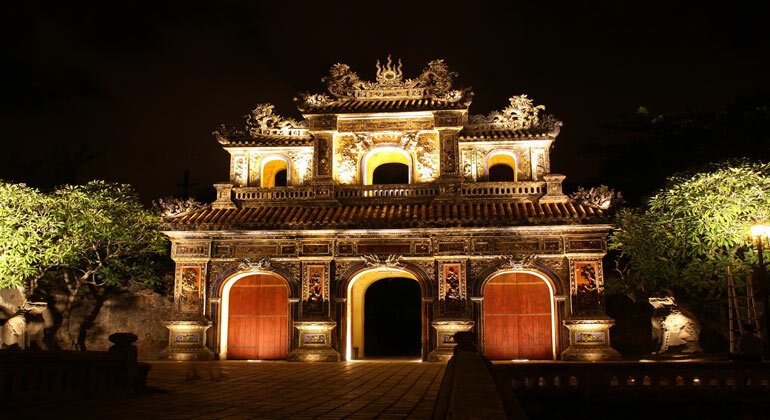 Since 1993, Hue Citadel has been recognized by UNESCO as a world heritage site. 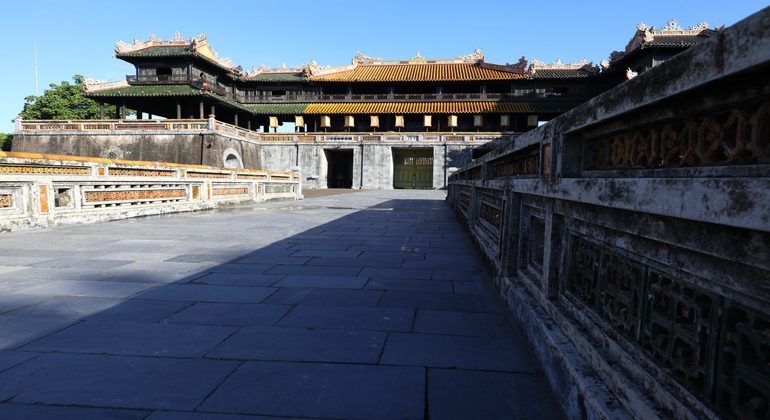 There are a lot of destinations which are worthy to visit, but you just don’t have enough time? No worries. 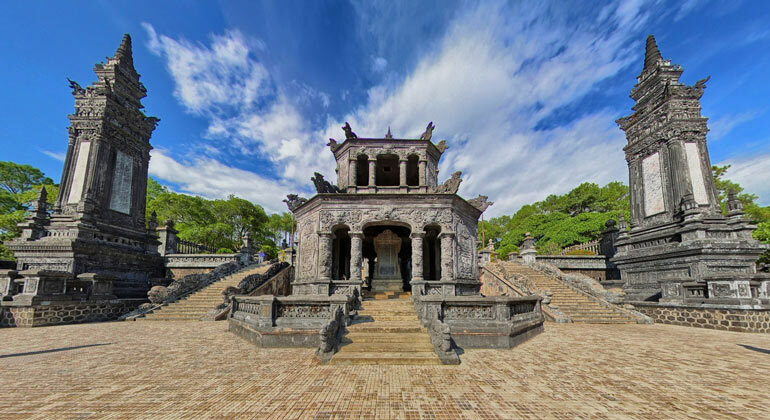 This article will recommend you for several day trips from Hue to any neighboring cities. 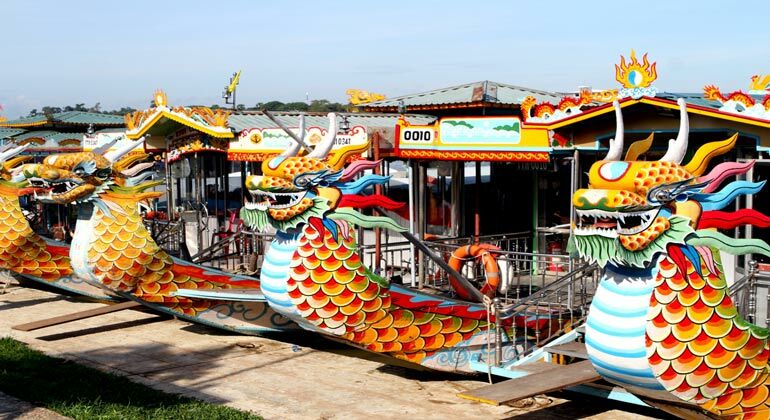 Taking a dragon boat along the River of the Perfumes is an amazing off-site activities. 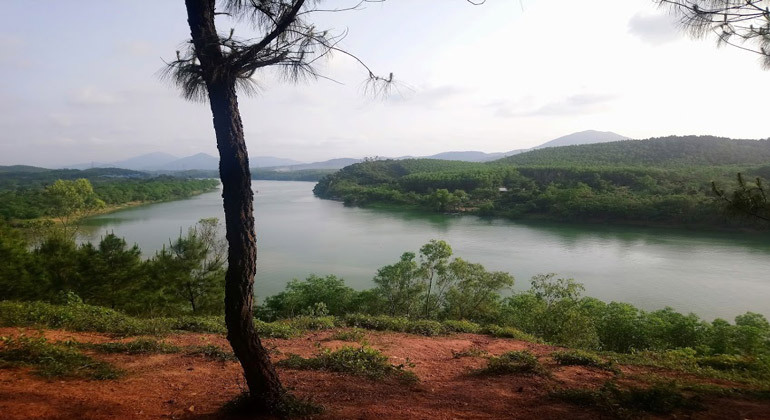 It offers travelers the astonishing chances to enjoy the excellent views of the royal tombs which are spread out along the banks of the river and hidden under the peace of pine trees. 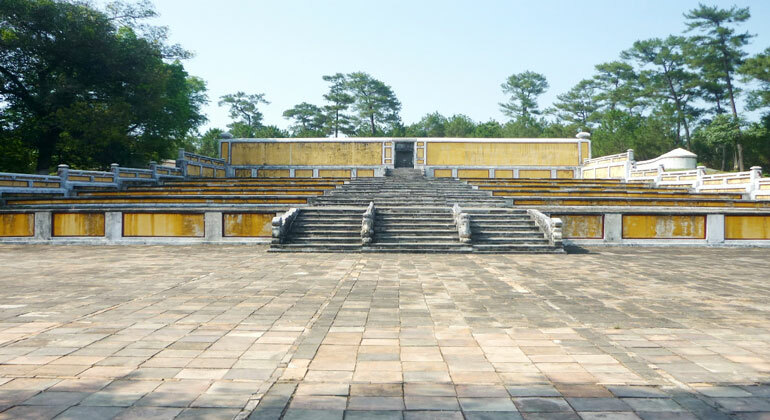 In fact, the royal tombs were constructed by the rulers of Nguyen Dynasty until 1945. 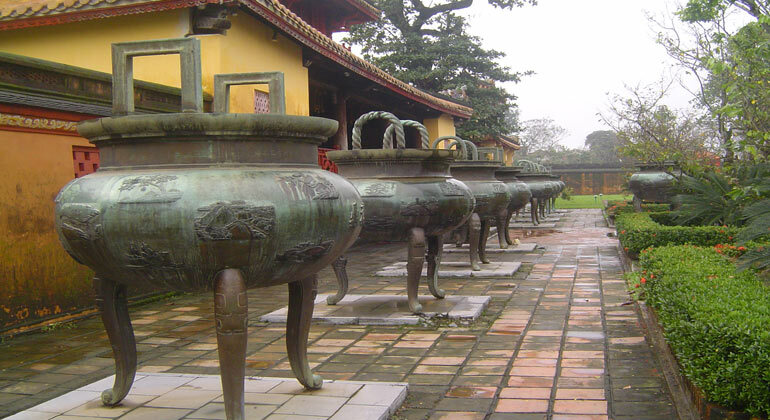 Therefore, there are many splendid mausoleums. 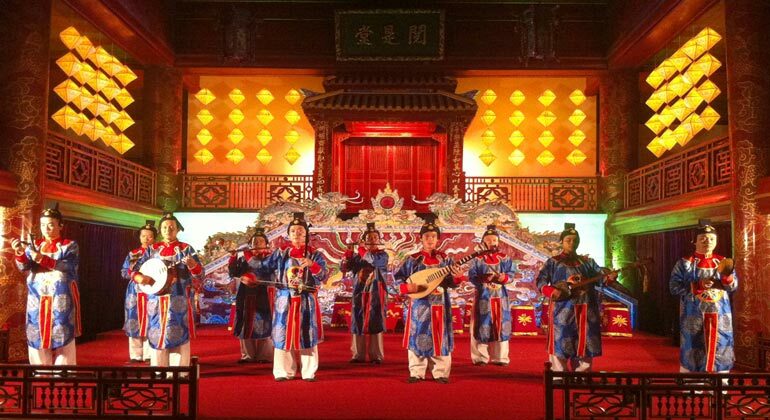 In this excursion, we only pay a visit to the typical ones because time is limited. 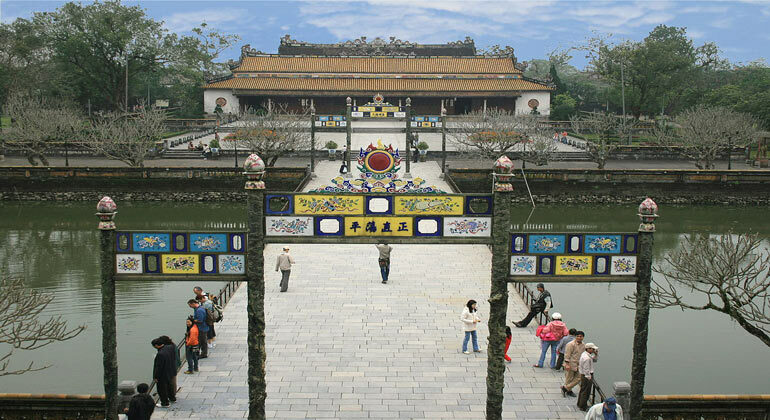 We will travel to Gia Long Emperor’s Tomb, Minh Mang Emperor’s Tomb, Khai Dinh Emperor’s Tomb and Tu Duc Emperor’s Tomb. 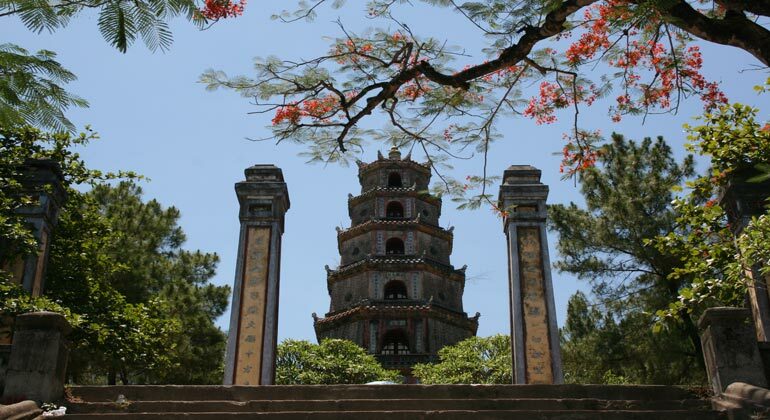 In addition, there are also supreme pagodas such as Thien Mu pagoda, the first one in Hue and Tu Hieu Pagoda, the home of the eunuchs after death. 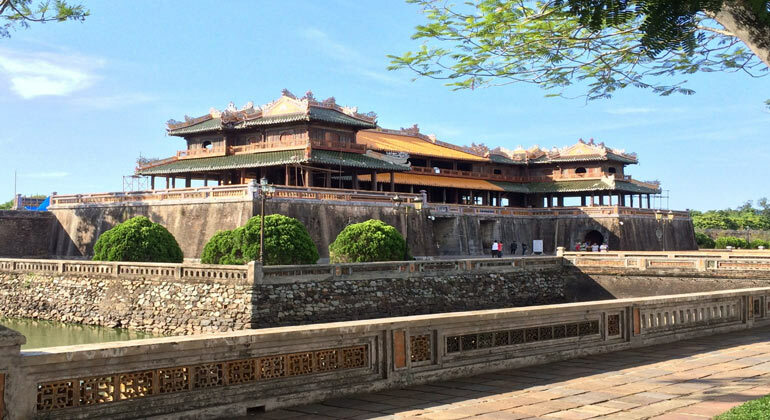 The citadel of Hue including the Imperial City and the Purple Forbidden City was started building in 1803 and finished in 1832. 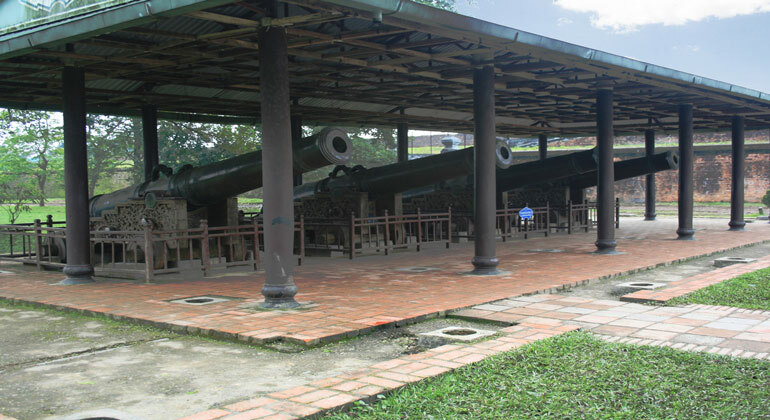 There were over 140 monuments, but many things were destroyed because of the war. 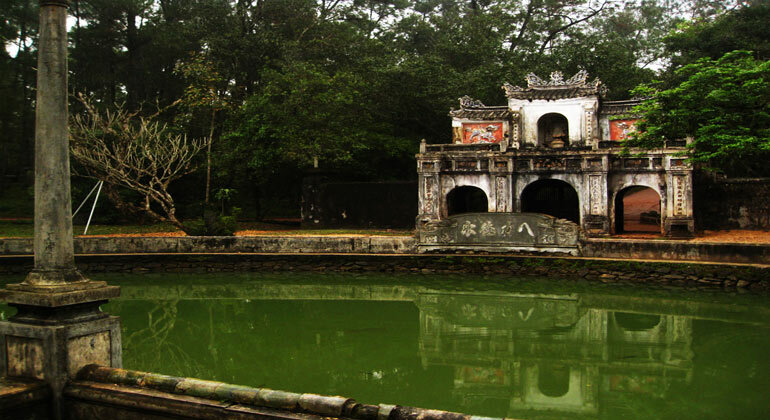 The Citadel is the best mirror to reflect the last feudal dynasty of Vietnam. 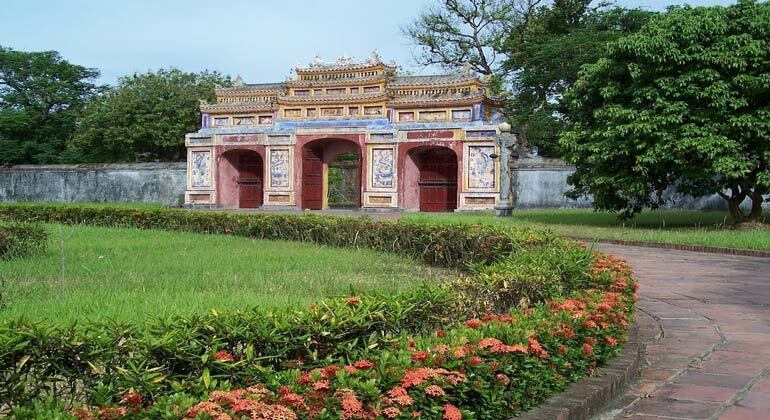 Technically, the distance from Hue city center to Bach Ma Zen Monastery is 40 km south of the Citadel. 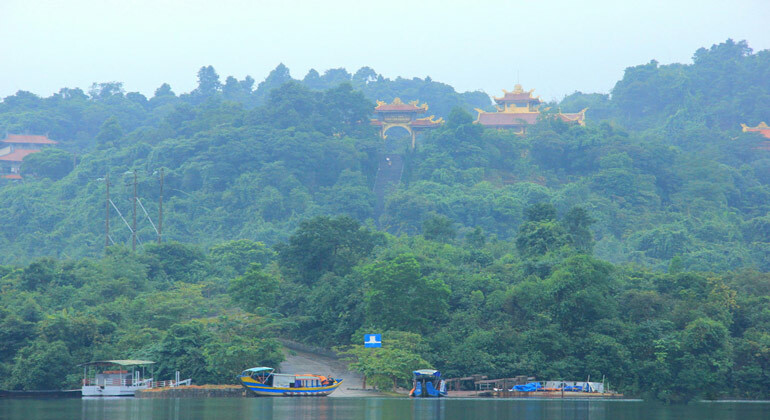 The monastery nestled in the forest is the unspoiled gem of the ancient capital. Built in 2006 overlooking the Truoi Lake, it can only be reached by boat and you have to take over 100 stairs from the bottom to the entrance. On the way to the Bach Ma Zen Monastery, there are also interesting sights. For example, An Bang, where the dead tell something beyond paradise, is a small fishing village, also commonly known as “Town of Ghosts”. In addition, you can stop at Elephant Springs and Lang Co Beach. 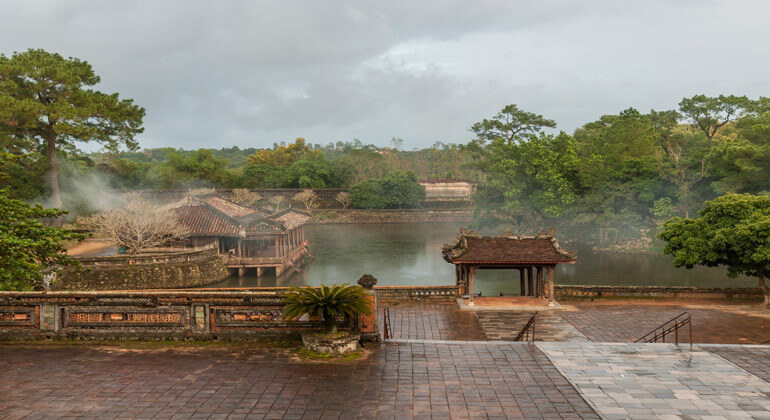 After visiting these great spots in Hue, you can head to Hoi An. Basically, you spend the whole day if you visit them all. 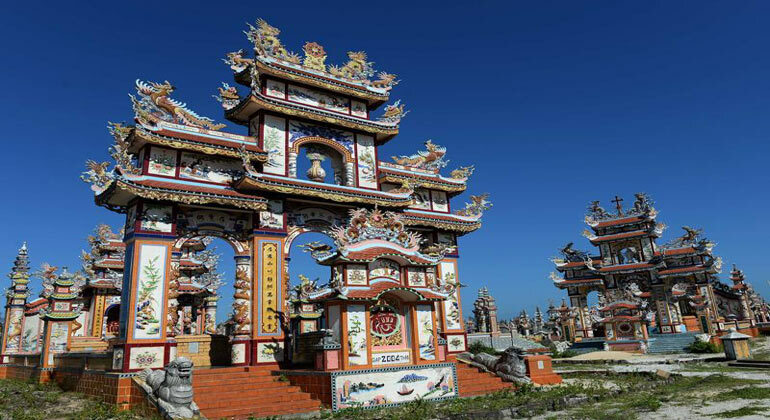 Hue to Hoi An by car is the best option as it is fastest and safest way to get there. Talk to us to create a unique itinerary just for you. Let your amazing adventures begin with us!